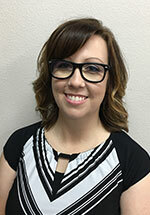 My name is Natasha Tebbs, and I oversee the education department at Turning Point School. I have a genuine love of watching students learn personal growth while developing a love of learning. I currently hold a Bachelor's Degree in Human Services from California State University, Fullerton, a Master's Degree in Educational Psychology from the University of Nevada, Las Vegas and an Endorsement in Educational Leadership from Arkansas State University. 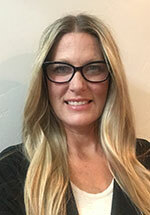 I have experience within school systems ranging from K-12, private and public school, alternative education, teaching graduate programs at the University of Phoenix, and numerous years within the field of residential treatment. My ultimate goal is to see ALL students succeed. Tim Marriott graduated with a Bachelors of Art in Criminal Justice at Weber State University. He was a juvenile probation officer for four years in Salt Lake City and Ogden Utah, when he decided to return to further his education earning a Master's Degree in School Counseling. For the past eight years, Tim has been employed full-time as a school counselor for the Iron County School District, where he works with at-risk students. 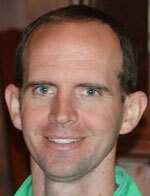 Tim recently was hired into a new position as a School Psychologist with Iron County School District. 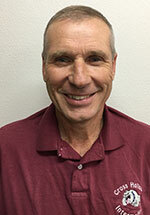 In his free time, Tim enjoys spending time with his family, golfing, hiking, and pickleball. Basically any sport you would find in a retirement community. 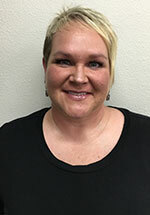 My name is Marcie Armbruster, and I am a Teaching Specialist at Turning Point Family Care. I have been with Turning Point since 2017 and have enjoyed my experience here. I am a Southern Utah native. I love the diverse surroundings that our area has to offer and enjoy exploring them as much as I can. I entered the workforce straight out of high school. I have had the opportunity to work at some amazing places where I gained a lot of experience. It wasn't until I started working with elementary aged children in 2005 that I discovered my passion for teaching. I entered college at the age 40 and will graduate with my degree in Education with an emphasis in Reading, in May of 2021. I am a wife, mom of 5, employee and student. It has been an extremely rewarding experience so far, albeit a busy one. My education includes a Bachelor's degree in Elementary Education, a Master's degree in Special Education, and a Master's degree in Curriculum and Instruction. 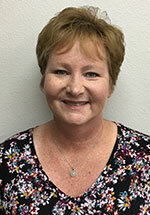 I am highly qualified to teach Mild, Moderate, and Severe Needs Special Education, as well as regular education content. I currently also work as a Special Education teacher at a local high School. I grew up in Millard County in Utah and attended Millard High School. I received my Bachelor's Degree and Master's Degree from Southern Utah University majoring in Secondary Education with a focus in Language Arts. I began teaching high school in 2006, and I also have experience teaching at the college level. I grew up on a dairy farm near Grace, Idaho milking cows, hauling hay and all that goes with farm life. I received an Associate's Degree from Ricks College and a Bachelor's Degree from Southern Utah University in Cedar City in 1988. I began a teaching career that same year for the Iron County School District, and retired in 2018. I look forward to a new challenge teaching in a private school setting. I always try to look for the strengths of each student and help each student discover his or her gifts.